At twenty years old I purchased my first house (for $22,000--it needed A LOT OF WORK)! For me personally, the hard work of remodeling is very rewarding when you finally get to see your projects accomplished, so I got hooked on real estate as being my investment of choice. My interest in real estate investing and experiences with remodeling homes gives me a different perspective from a lot of other appraisers. I have first hand knowledge of remodeling costs and the resulting increases in value. I've lived in long-term remodeling projects and have a special understanding and consideration for other people who are doing the same--it is tough ! I am very happy to work with different people of all varying income brackets, with all varying experience levels, with all varying kinds of backgrounds, ethnicity and orientation. 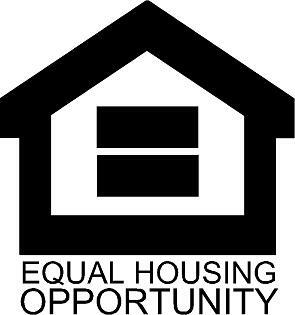 I am a firm believer in fair housing. I appreciate the business that I receive and I do the best job that I possibly can on every appraisal report. Thank you for your visit to our website and thank you very much for your business! So many times when I'm viewing a property, the owner's tell me that the last appraiser they had was so rude, that the appraiser didn't notice everything that they should have, that the appraiser was only there for a few minutes and that they just didn't do a good job at all. I am very aware of the lack of professionalism that unfortunately exists in varying degrees throughout the real estate industry (appraisers, loan officers, brokers, salespeople, etc.) and I have made it my mission and my goal every single day to always do my best-- to be polite and professional, and to be as thorough as possible. I am courteous to my clients and customers and I care deeply about providing good quality service and good quality appraisal reports. My maiden name is Darby Jo Williams. I grew up in Auburn, Michigan. When I was very young my family had a 40 acre farm with crops, pigs, chickens, ponys and various other farm animals. After a brother's devastating tractor accident (which left him severely disabled), the family sold the farm and moved into town in Auburn where I lived until my father took a job in Saudi Arabia. I spent three years in Udhailiyah, Saudi Arabia when in 7th through 9th grades and then went to Tabor Academy in Marion, Massachusetts through graduation of high school. I miss the jebels, the camels and the Saluki's in Saudi and I miss the Massachusetts area including the waterfront where I lived and also including the crazy town of Boston. And of course I miss all of the fantastic friends made along the way! The experience of having a severely handicapped brother has given Me an immesurable appreciation for simple things like being able to walk, being able to look normal and being able to have rational thoughts and just to exist normally as a human being without the level of immense suffering that my brother has endured. The experiences of living overseas and traveling all over the States and Europe, as well as more recent travel in Mexico and other countries has instilled in Me a profound appreciation for the priviledges that we have as citizens of the United States.